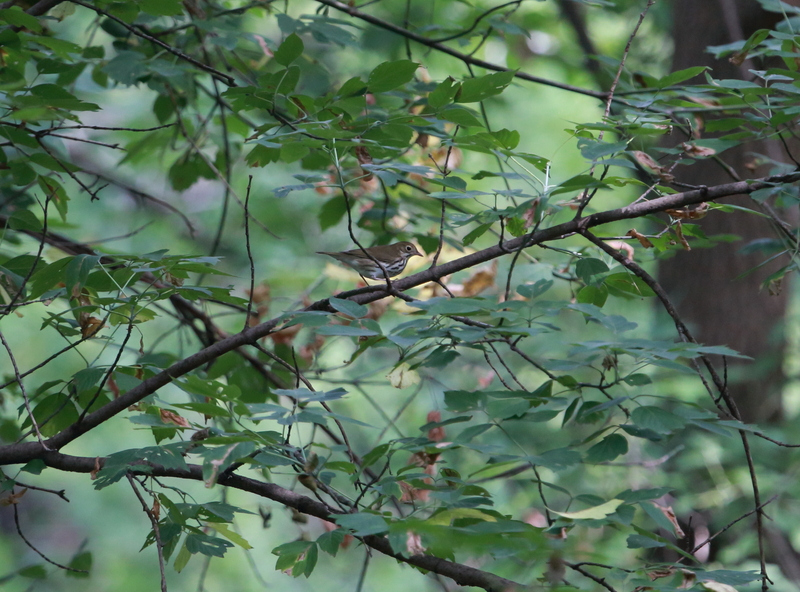 If the Osprey from my last post and a few other interesting water-oriented birds had not kept me occupied on Sunday, I might have been gone before these warblers came to life. Indeed I had turned back when the sun came out from behind the clouds around 11:00 a.m., which is usually when everything starts to slow down. 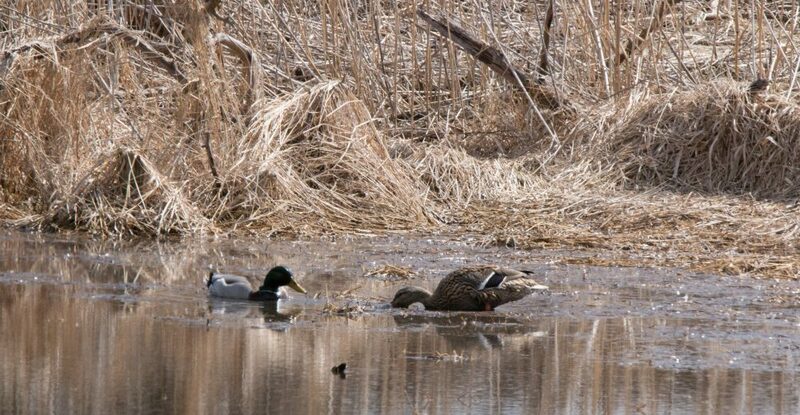 Enter the Chickadees, Redstarts, and these few characters. 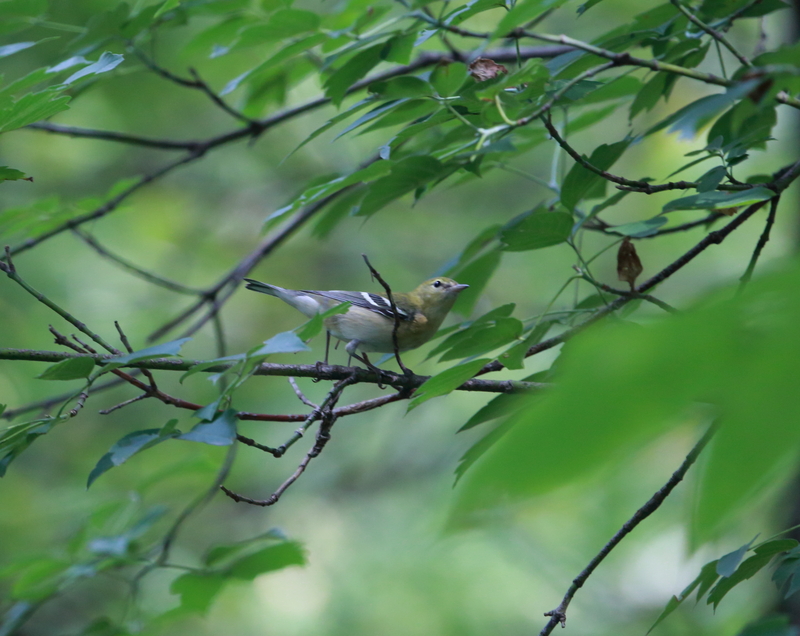 The Ovenbird below was a little too far away. 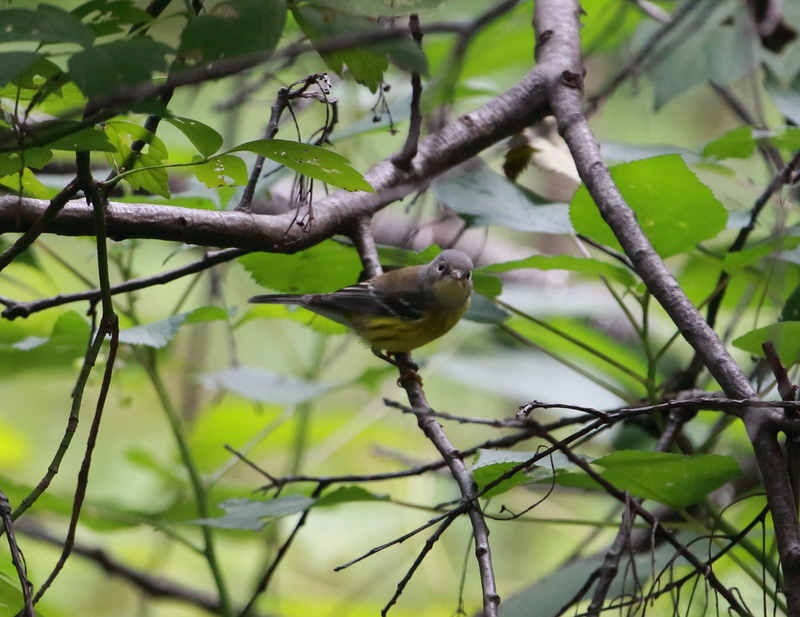 But the female Magnolia Warbler spent a moment or two preening before seeming to ask me just what it was I found so interesting about her. The weather is suddenly beastly hot, but I am hopeful the cool front predicted for the end of the week will bring a few more tropical jewels my way. 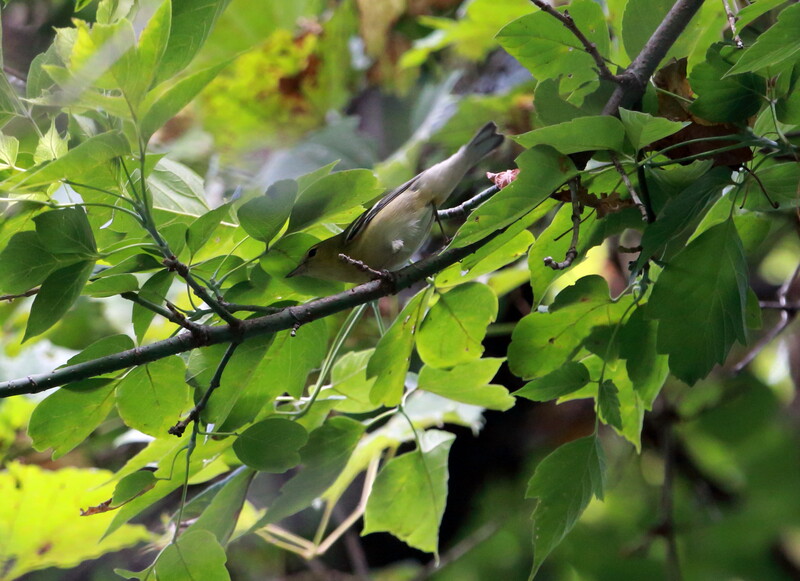 This entry was posted in birds, photography, Warblers and tagged Bay-Breasted Warbler, fall migration, fall warblers, Magnolia Warbler, Ottawa Trail Woods, Ovenbird by Lisa Rest. Bookmark the permalink.